Project Spark is the next evolution in game making. It is a completely open platform that limits nothing but your imagination. It gives you the ability to make creating a game, a game in itself. Project Spark is the next evolution of Kodu which is the software usually used for our Intro to Video Game camps. 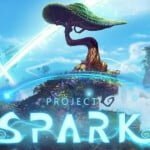 However Project Spark is a huge leap beyond in it’s abilities and robustness. We’re offering three one-day seminars this fall for you to experience what it’s all about!